This month the spotlight is on our 7300w² Monitor, one of our most popular Partech products. What makes it so great? We’re glad you asked. As our staple Waterwatch product, the 7300w² has been especially designed to work with all of the sensors in the Waterwatch range. Combining sensors is a great way to monitor parameters such as dissolved oxygen and suspended solids. The display has been designed to provide the ideal contrast so it’s easily readable, even in direct sunlight. The intuitive menu display and large buttons make it easy to use in all circumstances. At one point we considered changing the buttons for touchscreen sensors but we realised that the buttons are much easier to use when in situ with the machine, for example, those kind of situations where you really don’t want to remove your gloves! But the ultimate highlight of the 7300w² monitor is how it works in tandem with the TurbiTechw2 LS sensors. The TurbiTechw2 LS sensor employs infrared light at 860nm using the 90 degree Light Scatter principle in accordance with ISO7027 (2000). The TurbiTech sensors self cleanse! This means that the optical surfaces are kept clean at all times and manual intervention at regular intervals is not required. Not only that, the cleaning process only lasts for 90 seconds, maximising usability and minimising hassle and unnecessary time out of action. The 7300w² is one of our best selling products, it truly is a Partech staple of quality and usability, at the heart of our product offering and with multiple input and ease of use, it will continue to be a priority product for years to come, Sales Engineer David has recently visited customers with more of these monitors in the past month. And it’s not just the product we offer. Expect a range of installation options, a bespoke design service to ensure our product suits your site specific needs and we’ll carry out a site visit as part of the process. The best part? The after-sales service and level of care. We make it our mission to turn every product sale into a relationship and that means you’ll have a named advisor you’re working with who has experience and expertise in how the 7300w² operates. You’ll receive a personalised one-to-one session with our engineer and be left with a data sheet that explains the ins and outs of the 7300w². 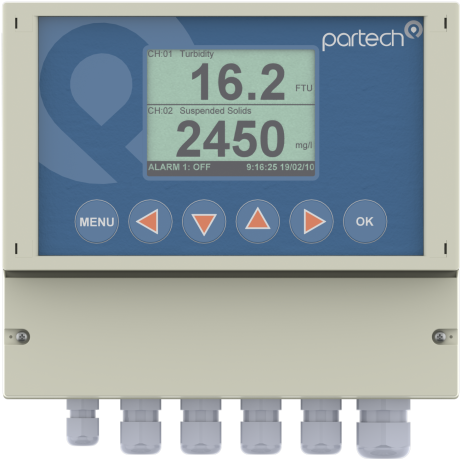 You will also receive personal contact details to reach your sales engineer should you have any further queries or concerns, or if you want to see the rest of the Partech product portfolio, we’re confident you will once you’ve got the 7300w² up and running!